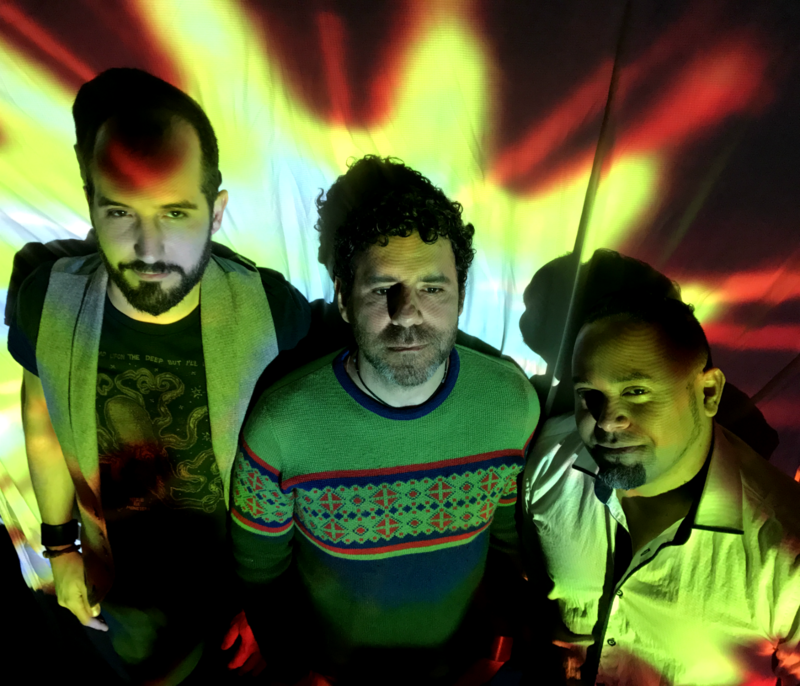 Impuritan – an experimental rock three-piece from San Francisco – consists of Alex Eliopoulos (guitar/bass/keys/vocals), David Molina (guitar/bass/keys/electronics/vocals), and Pepe Abad (drums/percussion). Formed in 2011 by Alex as a solo recording project, the lineup bloomed into a musical collective. Its current members are Bay Area residents with diverse cultural backgrounds from Greece, El Salvador, and Peru respectively. The music's experimental nature allows for both duo and trio performances by combining live instrumentation with loops & samples to create lush walls of sound. Since 2012, the band has performed consistently at Bay Area music venues, art galleries, and outdoor spaces – often with projections & visuals to enhance the proceedings. Impuritan have released four albums and received consistent airplay on KALX, KZSU, KFJC, KXLU, and positive coverage in The Bay Bridged, Pow Magazine, and KQED. They have toured the US West & East coasts, and are touring Europe in fall of 2017. On their fourth album Altered Statues, Impuritan captures the blends a wide foundation of post-rock with hybrid affection for psychedelic, noise-driven, and ambient sonics. The brief yet dense EP embraces an expansive range in 15 minutes – a burst of mind-bending feeling and a call to freedom through sound amidst a jaded modern age.